They will determine the proper value – Pricing your house accurately can be challenging. If you price it too low, you’ll lose money, but if you price it too high, nobody will buy it. A real estate agent has the experience and expertise in regards to the local real estate market to help you price your house accurately. They will help find motivated buyers – You might live in an attractive neighborhood and your house may be in top-notch condition, but if you can’t find buyers, it’s going to take a long time to sell. 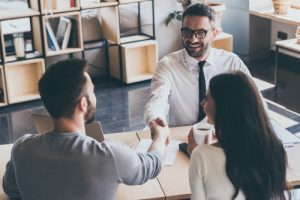 Real estate agents have connections with other agents and buyers, which means that they can bring in buyers that are motivated to look at your home. They will help stage your home – Real estate agents know exactly what buyers are looking for and how to present a house in its best light. You’ll want their professional know-how to help stage your home for showings. They will provide professional guidance and advice – Whenever you have questions or major decisions to make, you’ll be able to turn to your real estate agent for help. Without an agent, you’re more likely to make decisions that you might regret later. As you can see, a real estate agent plays an important part in selling your home.